Non-profit client is seeking a Revenues Fiscal Monitor whose primary functions is to audit and monitor agency and vendor records, as well as perform complex accounting tasks. Conducts audits of vendors in accordance with governmental legislation. Prepares written reports of audit findings and makes recommendations for correction. Communicates findings to appropriate involved parties. Completes assessments for various client programs, in accordance with governmental legislation and prepares written communication of assessments for involved parties. Conducts internal staff training on policies and procedures of client programs. Provides resource information to all involved parties. Audits vendors’ cost statements for accuracy and compliance. Researches and resolves discrepancies and complaints. Provides resource information and training to vendors and staff in client policy and procedures and monitors performance. Performs internal audits to verify internal controls, including physical inventories and purchase order procedures. Reviews and processes vendor rate increase requests. Bachelor’s degree in accounting or a related field and minimum one year of extensive internal and external auditing experience. Must have extensive knowledge in accounting, auditing and finance. Intermediate to advanced skills with computers – most especially spreadsheet (Microsoft Excel) and database programs. Experience with external auditing, training, research and forecasting, data analysis, report preparation and presentation. Good follow through, attention to detail and excellent customer service skills. Must work effectively with people from a variety of cultures. Must be a team player. Position will ultimately require local travel so candidate will need good transportation and valid driver’s license. 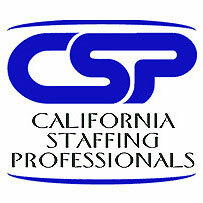 This position is located in the San Fernando Valley area and is currently temp to hire. Pay range is $18.00-20.00 hourly. The candidate will be required to undergo extensive client testing. Royal Staffing Services will consider for employment qualified Applicants with Criminal Histories in a manner consistent with the requirements of the Los Angeles Fair Chance Initiative for Hiring.